Fake malicious reviews are a dark and sad truth of the internet. Keyboards for hire by unscrupulous competitors or just nasty people with nothing better to do other than spew venom. It happens. Recently, I was reading Google reviews for a pool company recommended to me. Their reputation was well documented online with consistent satisfied customer reviews, but then I came across the one. A horrific customer account of deadly bacteria in their pool at the hands of the pool company neglect. Of course paired with the company’s professional reply that they were sympathetic, but had no knowledge or history of the customer, it definitely drew suspicion. 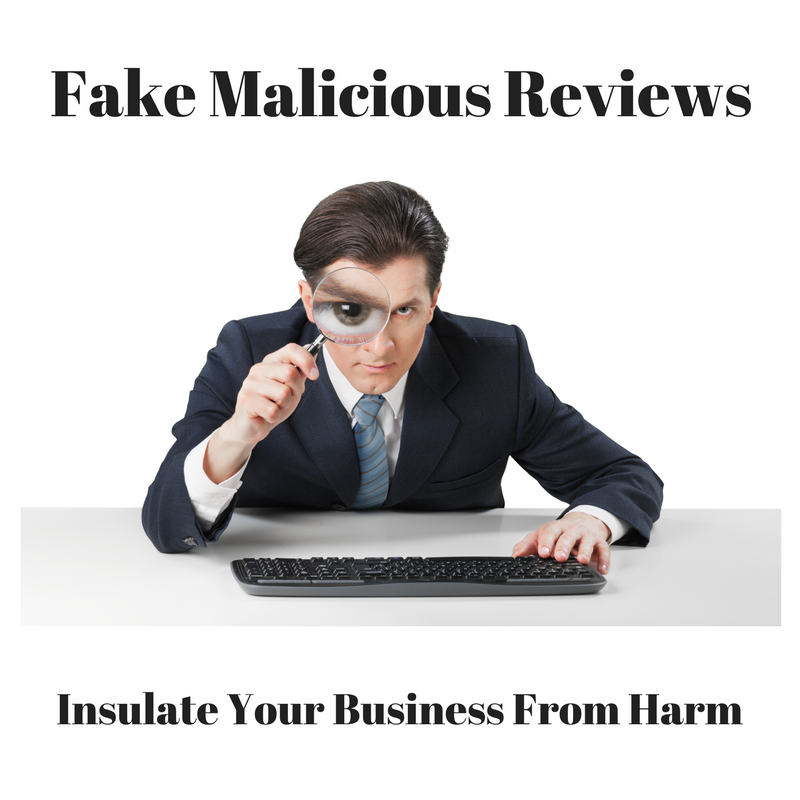 Fake malicious reviews are muffled when other credible social proof is present and abundant. What if that had been all I read? That’s a crushing blow, the pool company would be helplessly leaking prospects, maybe none the wiser. Word of mouth is the powerful, low cost advertising all businesses strive to receive, only to be cut off by a single fake malicious review. These guys had two things going for them. They otherwise had a stellar reputation with tons of online social proof. Secondly, the fake review was on Google so they at least were afforded the opportunity to respond, if not appeal the validity. That’s not always the case the web has its share of hate sites. Sites with a single purpose of destruction and sometime extortion. That’s right, some of these sites hold business reputations for ransom with fake malicious reviews and ask you to pay to remove bogus content. Take legal action, good luck…they’re in some random country, most times beyond recourse. eEndorsements provides 3rd party verified credible reviews. Businesses- set up your free profile and insulate your business reputation with more social proof. Unfortunately, today I met a business owner not so lucky and not so insulated. A victim, I’m not sure. The only online identity to be found might as well had a big red buyer beware or stay away sign. I met him face to face, a really nice guy. He told me if you get online you’re going to see some negative stuff on me, and it’s not true, but I can’t get rid of it. Of course I went to read it, wow was it damning! This particular reviewer even wrote a follow up that the business had changed names and smeared the reputation of the new brand. Was the gentleman I met a good guy just trying to outrun the bad, I don’t know. But it was the businesses word against the other guy, and in this case, the other guy had the bullhorn. In any case, given the price tag to me, I’m reluctant and unlikely to move forward. Justified or not, the business lost. As entrepreneurs and business professionals, we go to great sacrifice to reach the dream of success. The power of the internet can quickly become a nightmare, if you are not prepared. Being proactive in your online reputation…it’s a must. Don’t let a single month go by where you don’t at least publish a positive customer testimonial somewhere. Routinely monitor what’s being said about you online, and be sure you have plenty of content indexed for search around your brand or personal profile. In the case of online reputation management, the best defense is truly a great offense. If you’d like to read more on the topic here’s an insightful post on the fake reviews. Next Paying for Reviews – FTC Guidelines and What Does the Law Say?